Keyshia Cole on Stage at the UNCF'S Celebration with the stars in Pasadena California, she look like she is bringing it to. 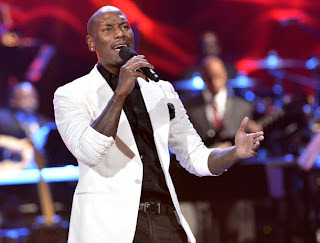 Tyrese was also at the UNCF'S Celebration with the stars, in Pasadena California, luv the white blazer. A simple black dress goes along way, Tracee Ellis Ross attends the UNCF'S Celebration with the stars, in Pasadena California. Pink stops to show luv to her fans in the UK after she performed live on BBC Radio, luv her.